For a Southerner in the city, sometimes the person behind the counter is more important than what‘s on the shelves. Like any Southerner new to the city, I immediately realized life in New York was seriously different from what I was used to back in Georgia. Instead of listening to music in my car as I drove to work, I’d sit on the train listening to a couple argue with each other. Instead of having a washer-dryer in my apartment, I had to tote my dirty clothes in a suitcase down the street to the laundromat. And instead of screaming in surprise the one time I was unlucky enough to encounter a mouse, I challenged my friends to see who could count the most rats on the street each night. But the worst change of all was in food shopping. How do New Yorkers do it? The grocery situation is downright distressing! Before I moved here from Atlanta, not having a car seemed like a zero downside no-brainer. What I didn’t realize before I relocated was how useful cars are for transporting items from one location to the next. In New York City, because you do not have a car, all of your groceries must come home with you in your arms. This means, of course, that you must shop as near as possible to your home, but in most neighborhoods the closest stores are tiny bodegas. If you’re used to shopping at an enormous warehouse-size supermarket that stocks at minimum 11 brands of pasta sauce, the size of a bodega, where you are required to fight a wannabe hipster for the only nonwilted bunch of kale, can be disconcerting. It was obvious that maintaining my sanity as a new New Yorker hinged on finding a local grocery store that I actually liked. Unfortunately, the first one I went to in my neighborhood of Crown Heights was a Key Foods that smelled like wet garbage and boasted a frozen section so lukewarm all the items it contained were damp and partly thawed. The second, a Met Foods, was fine, but the workers there seemed perpetually irritated and it was on the opposite side of the neighborhood from my subway stop. 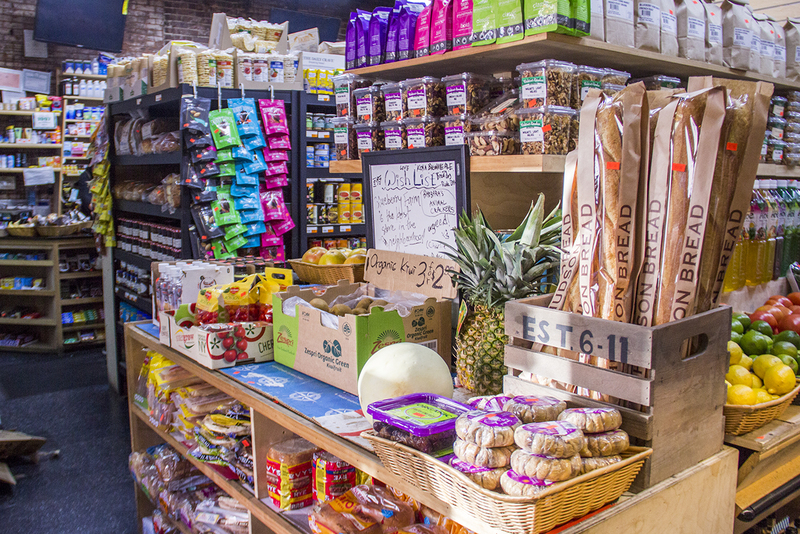 I almost gave up hope, until I found the third: a tiny, independently owned bodega nestled between a Japanese restaurant and a discount store on Nostrand Avenue. This place was destined to become the Brooklyn bodega at the corner of my heart. At first, I wasn’t sure what to expect: The exterior of the store was more mysterious than informative. Its sign proclaimed only “Blueberry Farm” in futuristic lettering, with a drawing of a farmer pushing a wheelbarrow full of its namesake fruit. 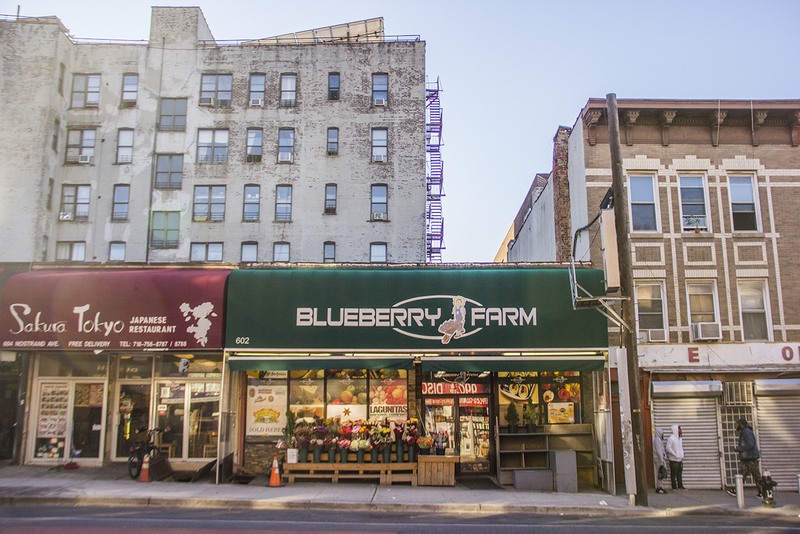 Strangely enough, online and on the receipts, the store’s official name is New Blueberry Farm Inc., a name I love even more for how bizarre it is. These names bring up so many questions: Why the discrepancy? What happened to the old Blueberry Farm? Why is this grocery store incorporated? Does it realize the absurdity of naming a place Blueberry Farm when it doesn’t even consistently stock blueberries? Sure, Blueberry Farm didn’t have a huge selection like the big Southern grocery chains I was used to, but somehow it always had precisely what I wanted. We may never know the answers to these questions, but who cares? Blueberry Farm had all I could ever want in a local bodega. 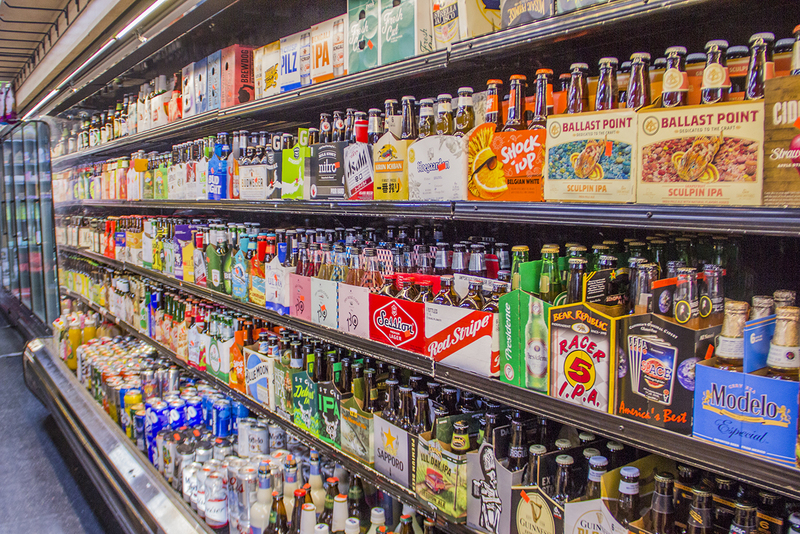 There’s a deli counter, an impressive array of craft beers, and a robust prepared-food section that includes everything from tuna salad to guacamole to kimchi. It sell cuts flowers and organic vegetables and has a surprisingly excellent cheese section. The entire time I lived in Crown Heights, I’d stop by at least once a week to pick up whatever random groceries spoke to me at the moment: potatoes, carrots, and onions to roast for a quick dinner; a bag of frozen shrimp dumplings for when I didn’t feel like cooking; an interesting cheese to bring to a party; a container of sun-dried tomatoes for who knows what, but who could resist them at that price? Sure, Blueberry Farm didn’t have a huge selection like the big Southern grocery chains I was used to, but somehow it always had precisely what I wanted. It was like it took a regular grocery store and pared it down to only the best things. 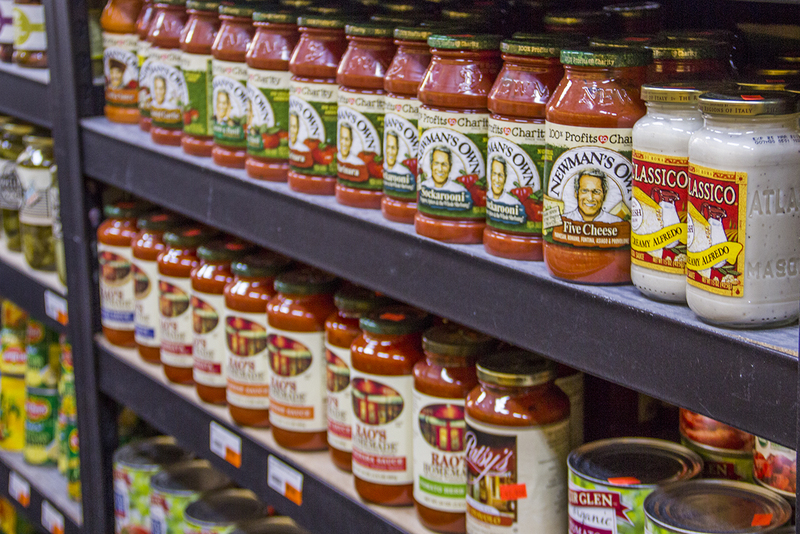 Besides, who needs the stress of choosing between 11 brands of pasta sauce anyway? 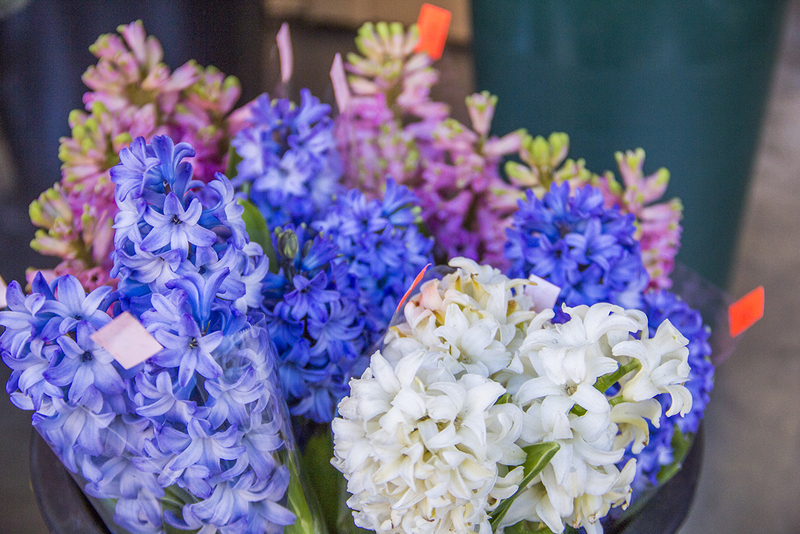 My infatuation began with its good selection, shockingly reasonable prices, and the fact that I passed the place on my walk home from the train, but what cemented it was the kindness of the cashiers. What Yankees may never understand is that when you’re a Southerner, your natural propensity is to chat. Everywhere. With everyone. It’s honestly not that I plan to speak to strangers, it’s just something that happens naturally, like when New Yorkers start cursing at each other on the subway. Regrettably, chitchat is definitely not the norm in the North, and so once I moved to Brooklyn, I was constantly making the mistake of totally freaking out every cashier I encountered by speaking to them. At Blueberry Farm, my conversation was welcome. Most of the time when I went in, it was the same person behind the counter, who reacted to my chattiness with nothing but flustered happiness. She didn’t usually say very much, and I could tell that she didn’t completely understand why I was talking to her, but she still absolutely loved that I was doing it. One time when I came in, she excitedly motioned for me to wait and disappeared beneath the counter. When she surfaced, she was holding a pink reusable fabric shopping bag. It was printed with a flower motif and “Blueberry Farm” across the front. On the bottom corner of the bag there was a little red triangle, and the cashier demonstrated how to stuff the bag inside of itself and tighten a string so that the whole thing resembled a strawberry. “That is the cutest thing I have ever seen in my entire life,” I told her. She grinned and proceeded to load my groceries into it. She acted like it was no big deal, but with that small gesture, she’d made a fiercely loyal customer. I’d grown up in a part of the country where almost everyone is friendly to one another just because life is nicer that way, and suddenly I was living somewhere where the only strangers I could expect to regularly acknowledge my existence were the neighborhood catcallers. It’s not like the bag was expensive—you can buy 10 of them on Amazon for under $5. The act of kindness was what mattered to me. Adjusting to life in New York City had been alienating to say the least. I’d grown up in a part of the country where almost everyone is friendly to one another just because life is nicer that way, and suddenly I was living somewhere where the only strangers I could expect to regularly acknowledge my existence were the neighborhood catcallers. But when that cashier gave me something cute just to be kind, I suddenly didn’t feel like a weird Southerner bumbling around the city anymore. I felt like I was home. When I ended up moving to Virginia a year later, Blueberry Farm was the place I was the saddest to leave behind. I had so many memories there: stopping in after work when I was especially ravenous to get a spicy tuna kimbap, only to scarf it down on the walk home; picking up flowers just because they looked especially beautiful that day; grabbing a pack of fancy cider for an impromptu party; and so many more Blueberry-flavored moments. Somehow, that little Brooklyn bodega was the spot the rest of my life revolved around. The week before I moved, I went in to say goodbye. Maybe it’s overly sentimental to say goodbye to a grocery store, but I just felt like I had to say something. As luck would have it, it was my favorite cashier behind the counter that day. The cashier smiled, held up a finger, and turned around to dig through the pile of things behind the counter. When she turned back to me, she had another strawberry bag. This one was orange. “To remember us,” she said. It’s been nearly two years and two interstate moves since I left Brooklyn, but I still keep one of those strawberries in my purse. Every time I use it at the nearby overloaded grocery superstore, I think about Blueberry Farm. And I wonder why sometimes strawberries come in orange. Emma Powers is a writer, corporate day–job haver, and cat person living in Atlanta. She graduated from the University of Georgia with degrees in English and French in 2015.